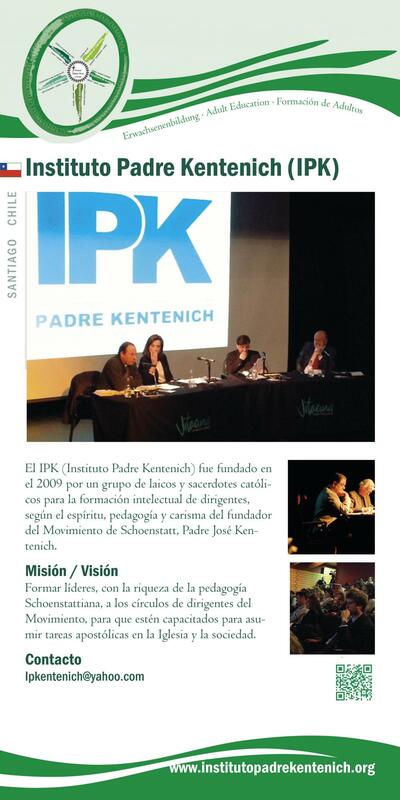 The IPK was founded in 2009 by a group of Catholic laypeople and priests with the goal of providing ongoing academic training to leaders in the spirit, pedagogy and charism of the founder of the Schoenstatt Movement, Fr Kentenich. Ongoing education of leaders in Schoenstatt‘s manifold pedagogy. The renewal of the Church, and the growth of the Schoenstatt Movement in depth and extent, requires capable leaders who are able to take over apostolic tasks that influence the Church and society.